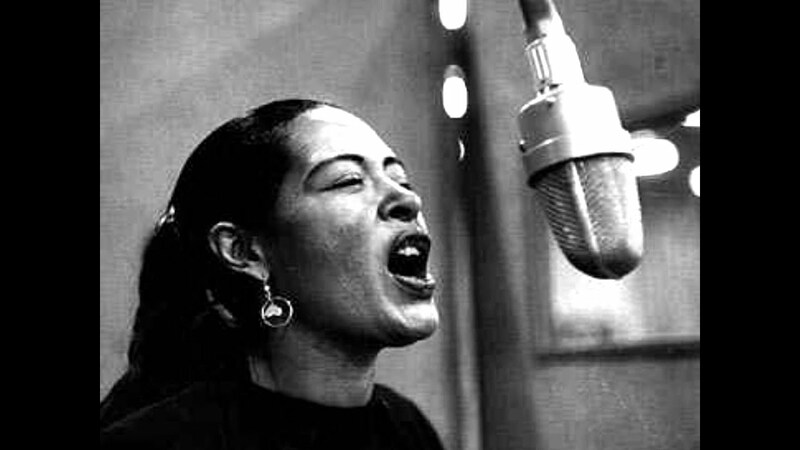 In 1939, Holiday made her debut performance of Aber Meeropol’s “Strange Fruit,” a controversial song centered around the lynching of black slaves, at Josephson’s cafe. In order to create a liberal, interracial club, Josephson turned the song’s performance into an almost ritualistic process, stopping service, having the workers stand motionless and silent, and darkening the spotlight, lighting only Holiday’s face. While there is no question in regards to Holiday’s brilliant, soul-rendering, and enlightening performance of the violent track, there are a few concerns that are raised in the cafe’s setup of the piece. Essentially Carvalho is stating how early interracial clubs, such as Cafe Society, allowed for early 20th century white Americans to rid themselves of any past guilt and feel a sense of empowerment for exposing themselves to such raw and honest content. Holiday’s incredible rendition of such a tragic song has a time and a place to make an historic and powerful statement, but it may not have belonged in an early interracial club that had it’s first foot into the door of institutional racism. Carvalho even goes on to state how the sole portrayal of Holiday’s silhouetted face draws some parallels with the blackface performers of the same era. This disturbing connection makes it clear that even in communities that were taking steps forward in terms of equality, activists were unable to completely escape from the trends of the world around them. As an extra source that dives into the unintended racism of early interracial night clubs can be seen in a CBS documentary entitled “Night Club Boom,” where Josephson is seen adapting a Guadeloupe-an performer’s (Moune de Rivel) performance to “better fit the American stage.” Rather than allowing a foreign musical act to perform in their desired medium, Josephson’s small, deliberate changes advocate a strong sense of appropriation, even in such a positive, forward-thinking environment. Carvalho, John M.. “”Strange Fruit”: Music between Violence and Death.” The Journal of Aesthetics and Art Criticism 71, no. 1 (2013): 111-19. http://www.jstor.org/stable/23597541. Night Club Boom. Produced by Home Box Office. http://search.alexanderstreet.com/view/work/bibliographic_entity%7Cvideo_work%7C1793020.